Just imagine what it would be like: drifting down the river, with the prospect of a pub lunch along the way. You are with your family or friends, enjoying some of the country’s best countryside, and can’t decide whether to have the home made steak pie or cheddar ploughmans! ideal for you to get to grips with the sport and its basic techniques before taking on a half or full day trip. Thank you for a great trip. We all had a fantastic time, it was great from start to finish, incredible scenery, you even sorted the weather for us. Thank you for the recommendation on the campsite also. See you again. 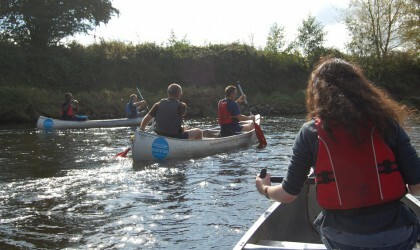 Many thanks, we had a lovely day paddling from Lucksall to Ross. Stopped at Mordiford for lunch at the pub, by which time the sun was shining. A lovely way to get back to nature and see the wildlife at its best. Highly recommended! Excellent half day trip ending at Hoarwithy. Thorough briefing with staff very knowledgeable about the river and easy pick up the other end (after a nice lunch and pint at the local). We took 2 dogs which were easily accommodated. Lovely staff. See you again. We've just returned from a three day trip and can't recommend you highly enough! Your staff are professional, knowledgeable and really looked after us. We had an excellent briefing, good kit and amazing scenery. We will definitely be coming back to you next year. Thanks. 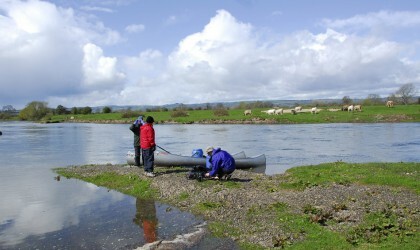 We occupy one of the quietest and safest stretches of the Wye and work hard to keep it that way, so our clients enjoy a safe and relaxing adventure. This means that we choose not to deal with stag parties (sorry boys) and those who can spoil the enjoyment of other river users. Our stretch of the Wye is ideal for both the novice and family, or anyone who wants to be absorbed in this beautiful, quiet stretch of countryside. 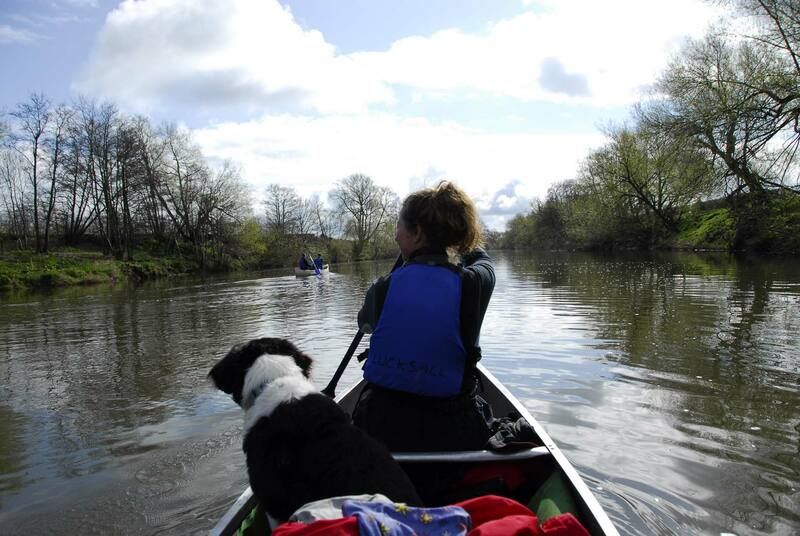 You can hire a canoe for any period from 2 hours to 5 days, so you paddle away at your own pace. We’re delighted to advise on routes and stopping places along the way where you can be fed and watered. We provide a high level of service from the moment we meet and brief you, to the moment we pick you up. 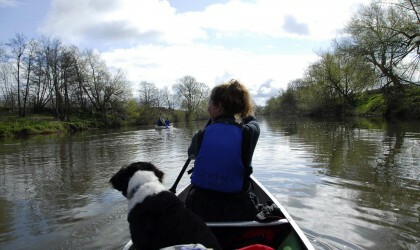 The team at Hereford Canoe Hire are enthusiasts about making a great day out for you. 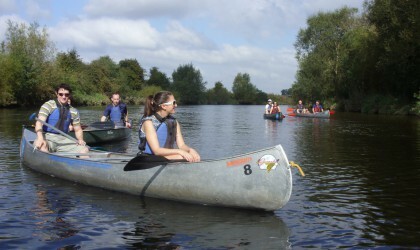 We’ve got great canoes and safety equipment and are keen for you to share our enjoyment of this wonderful river.